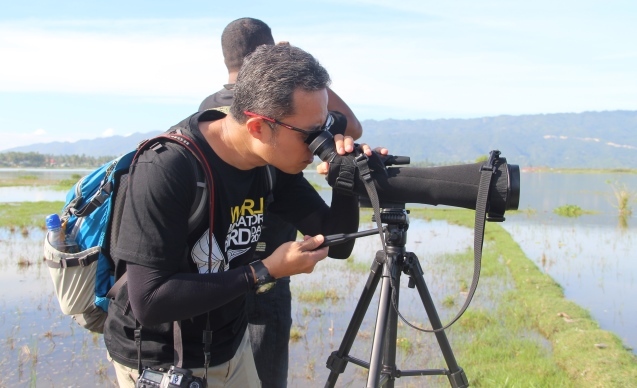 In 1996, the Conservation Leadership Programme (CLP) funded Action Sampiri, a project to study the endemic, and elusive, birds of North Sulawesi’s Talaud and Sangihe islands. 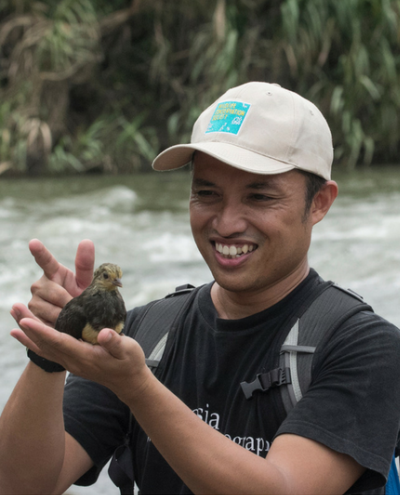 For research team member Iwan Hunowu, this was his first introduction to bird conservation, and after a CLP Follow-Up award to continue this work in 1998, he embarked on a career with the Wildlife Conservation Society’s Indonesia Program (WCS-IP). 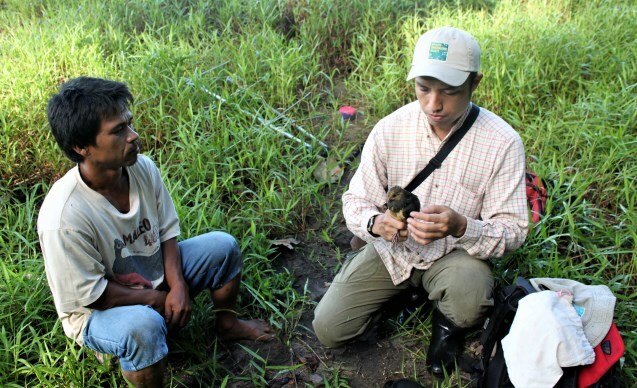 Over the years Iwan has led teams on biodiversity surveys, and managed a conservation project for the remarkable Endangered maleo (Macrocephalon maleo), a bird which buries its eggs under up to a metre of sand. Iwan is now Sulawesi Program Manager, heading up WCS-IP’s work across the whole of the island. In July 2017, CLP staff and alumni were fortunate to meet Iwan and learn directly from him about the island’s unique biodiversity whilst in Sulawesi for our international training course. Here he tells us more about his CLP roots, which includes the thrilling rediscovery of a long-lost species. How / why did you first become interested in conservation, and bird conservation in particular? When I was young I was always interested in outdoor activities, and by interacting with nature and exploring new things I became interested in biology. This inspired me to learn more about conservation, get involved in conservation activities and to study biology in high school. At university, I became involved in a number of ecological research projects. In 1995, my involvement with the CLP-funded project Action Sampiri was a great experience, and my first introduction to bird conservation. We rediscovered the endemic and threatened cerulean paradise flycatcher (Eutrichomyias rowleyi) of Sangihe Island, which was wonderful, and one of the best experiences of my career. All of these experiences opened my eyes to what scientists and conservationists really do in the field. It also became clear to me that Indonesia — and the island of Sulawesi in particular — with its unique biodiversity coupled with many threats and pressures, urgently needed conservationists. Jon Riley, who led the CLP projects and was also my former supervisor at WCS, and is now Treasurer at the World Pheasant Association, inspired me in the field of conservation. He showed me how to be a competent field biologist, and he was also the first person to introduce me to birds. 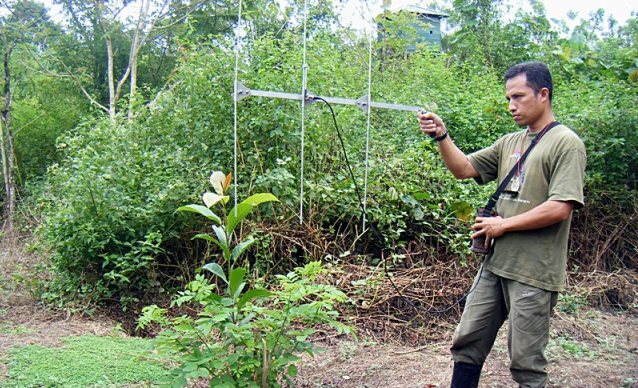 He gave me a good example of what field biologists should do in the field, from planning and conducting biodiversity surveys, to data analysis and publishing findings. He always encouraged me to increase my knowledge and skills. Herman Teguh, who was then Conservation Awareness Officer and Marine Officer, and is now a Protected Area Management Specialist at WCS-IP, inspired me in how we appreciate nature. He taught us mountaineering, jungle survival, field orientation using navigation skills (map and compass), and expedition management. In addition, he is always learning and always interested in new things. How / when did you first become aware of CLP (then known as the BP Conservation Programme)? I first become aware of CLP when I joined the research team of Action Sampiri. This was funded by CLP in 1996 and 1998, and the team consisted of students from York University and Indonesia. We carried out surveys of the endemic species of the Sangihe and Talaud islands, and we were successful in confirming the status of a number of the threatened and endemic birds of the islands, such as Sangihe shrike-thrush, Sangihe hanging parrot, elegant sunbird, red and blue lori, and Talaud kingfisher, including the rediscovery of the cerulean paradise flycatcher, an endemic species of Sangihe that had not been seen in over 120 years. How was being part of the CLP projects helpful in furthering your career? All of my experiences with the CLP projects allowed me to see what field biologists really do in the field, and to look for other opportunities where field skills were needed. In August 1999, I joined the Wildlife Conservation Society’s Indonesia Program. I began work as a field researcher, leading teams of other WCS field staff on an island-wide biodiversity survey of Sulawesi. In addition to the skills that I had in bird and bat identification, and bird survey methods, in WCS we received training in other techniques for surveying mammals and vegetation, and in using camera traps. In my years with WCS, I have also learnt more about project management and I have held a variety of positions including Field Manager and Maleo Project Manager. Currently, I am responsible for managing all of WCS’s projects in Sulawesi as Sulawesi Program Manager. When I look back over the years, I realise that it has been a successful and educational experience for me. Being involved firsthand in saving wildlife and wild places, especially the endemic and threatened species of Sulawesi, has been the most rewarding aspect of my work. It’s also a wonderful thing to know that our efforts have been recognised, adopted and replicated by our partners in their conservation activities. Over the past twenty years, I have worked hard to increase my knowledge and experiences, and I am especially proud of two achievements. The first was when I joined the Action Sampiri conservation project, and we successfully rediscovered the endemic cerulean paradise flycatcher. The second was when I gained the positon of Sulawesi Program Manager at WCS which made me responsible for planning, managing and monitoring all projects on the island. This involves all aspects of scientific research, project management, stakeholder engagement, communications and project development. Across Indonesia deforestation and hunting both for local subsistence and wildlife trade are the critical threats to biodiversity. Rapid agricultural expansion for the production of commodities like cloves, palm oil, copra and coffee form the greatest threats toward habitat loss in North Sulawesi. 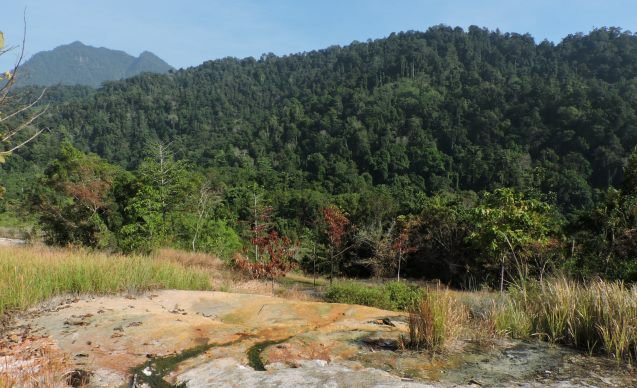 Lowland forest habitat close to coastal settlements is at most risk from degradation and deforestation. In addition, over-exploitation drives the decline of iconic species and their habitats due to hunting for the illegal wildlife trade. The northern part of Sulawesi is an illegal wildlife trade hub for the region, supplying wildlife to markets across Asia and beyond. Hunting for subsistence is common around forested areas and includes the collection of maleo eggs for food. There is also a thriving bushmeat market for many wildlife species. With the drastic reduction of available species in North Sulawesi from this trade, there is now increasing hunting pressure on species in protected areas to supply these markets. Sulawesi’s many endemic bird species are particularly threatened by this trade, and the biodiversity in protected areas and surrounding forests is particularly vulnerable. In the protected areas of Sulawesi (where I am now working), several key species are still found, such as the anoa (Bubalus quarlesi and B. depressicornis), babirusa (Babyrousa celebensis), Sulawesi black macaque (Macaca nigra), and the maleo (Macrocephalon maleo). However, all of them are now threatened with extinction, mainly due to human activity. I believe the Bogani landscape and surrounding forests, for example, to be the last stronghold of many of these species. The Bogani landscape is also of critical importance to the unusual maleo, as this area encompasses one quarter of all known maleo nesting grounds used by this bird. Therefore, in order to protect all of these species into the future, a good system of park and wildlife management complemented by sound conservation policies and practices is needed. Collaborative management (involving local government, the private sector, local NGOs) and community engagement are also crucial in order to maximize protection and conservation especially outside the protected areas. What advice do you have for the next generation of conservationists in Indonesia? Based on my experiences, it was clear to me that field data plays an important role in making informed conservation management decisions. Or in other words, a good conservation management plan should be based on good field information so it’s important for young conservationists to be able to competently gather and present this information. Overcoming threats to species can seem intimidating so just do the best you can to protect our precious nature. Begin with something small, and it will create a big impact for the future conservation of wildlife and wild places. Conservation is not the responsibility of an individual or an institution alone. The more people and institutions involved in conservation efforts, the greater the impact will be. "Conservation is not the responsibility of an individual or an institution alone. The more people and institutions involved in conservation efforts, the greater the impact will be."